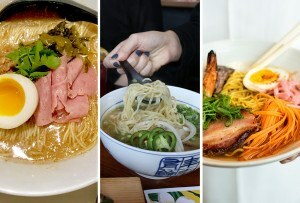 A guide to restaurants in Dorchester, Chinatown, Allston, and Somerville serving warm, delicious bowls of pho and other delicious Vietnamese noodle soups. By Alex Lau·	 2/13/2014, 7:22 a.m. The weather in Boston is no joke. When temperatures take a dip, it’s time to start looking for meals to help you recover from the freezing weather. While chicken noodle soup—and, more recently, ramen—are the obvious choices, try ditching these for a staple of Vietnamese cuisine: pho. 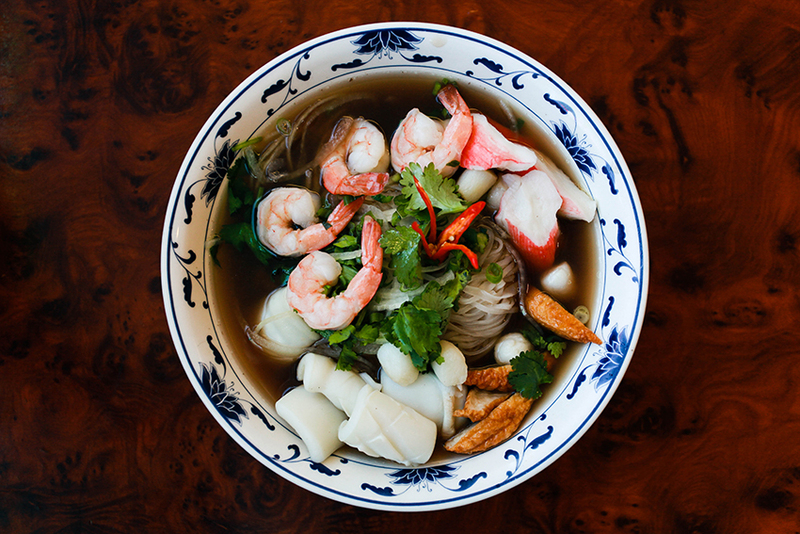 Not only do pho (pronounced fuh, not foe) and other tasty Vietnamese noodle soups warm you up, but they’re served in a number of ways that can appeal to a variety of tastes. Not sure where to look? 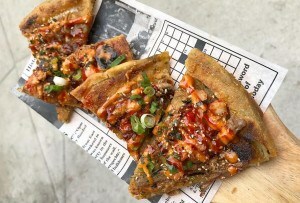 Here’s our guide to seven of Boston’s finest establishments—along with their specialties—from Chinatown to Dorchester and beyond. 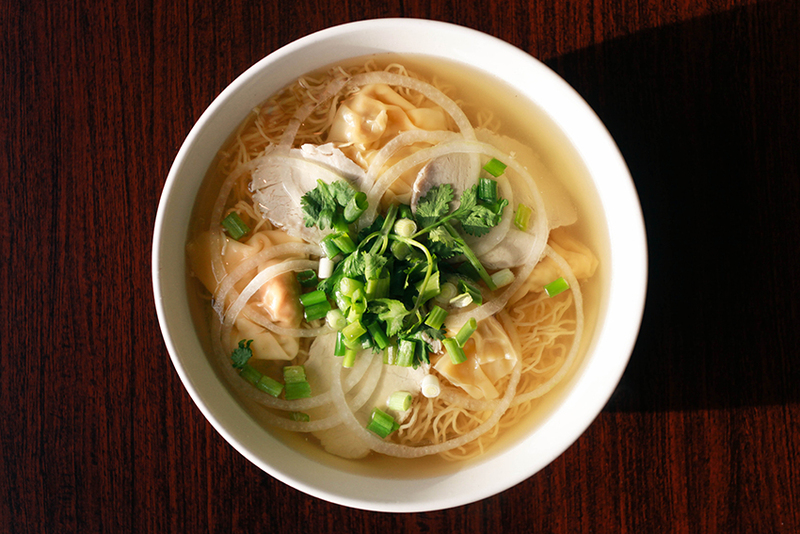 For all you pho rookies out there, this is the dish for you. Pho Tai may be just a plain beef noodle soup, but it has the triumvirate of necessary requirements for successful pho: thinly sliced flank steak that melts in your mouth, al dente noodles to soak up all the flavors, and a rich broth with a hint of herbs to compliment the steak. Toss in a couple of squeezed limes and jalapenos, and you’ve got yourself a real fine meal. Here’s a Vietnamese take on a Chinese dish, starring shrimp and pork wontons, sliced roasted pork, and egg noodles in chicken broth. The dish is simple to make, but hard to get right. 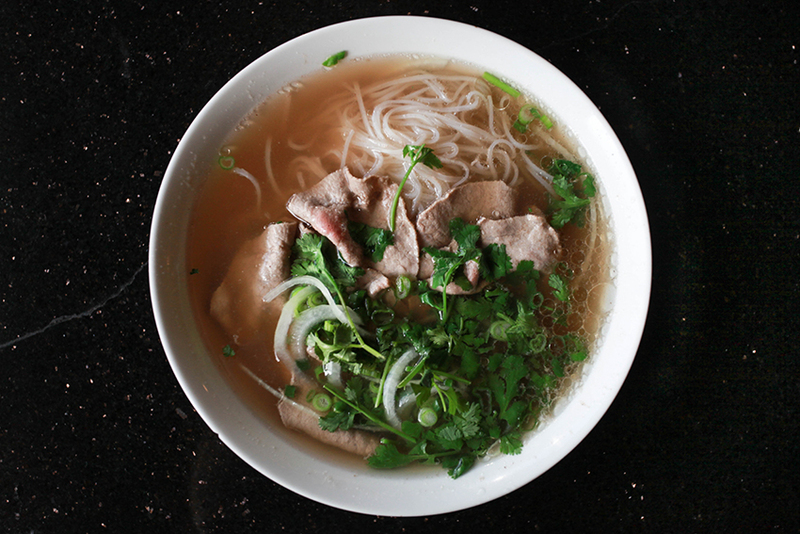 Mi Hoanh Thanh Pho is a perennial favorite among Pho ’n Rice regulars. 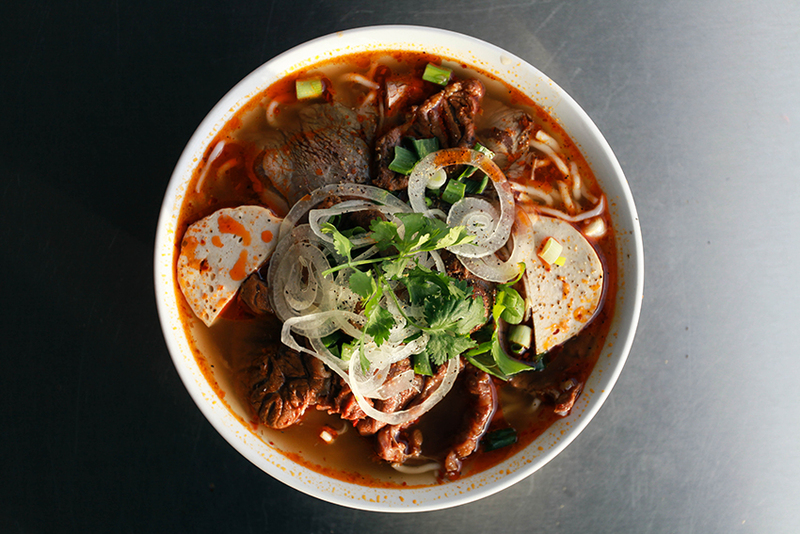 While pho is a derivative of Northern Vietnam, Bun Bo Hue’s origins lie within the central region of the country. A spicy pork bone-based stock with beef shank, shrimp paste, pig’s blood cubes, and lemongrass, the soup takes on a hue of bright red, but don’t worry—it’s not as tongue-numbing as it looks. 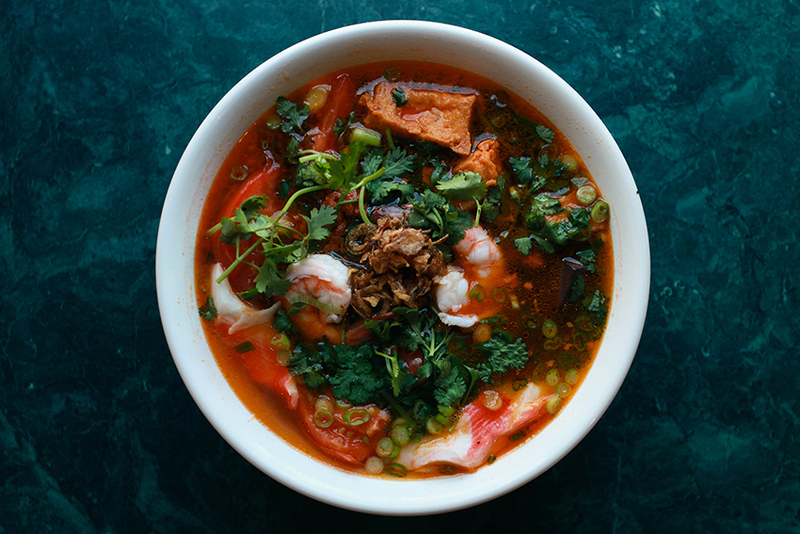 Crab enthusiasts, meet Bun Rieu. Freshly cracked crab legs, pork spare ribs, and shrimp are the major players in a standard bowl. Complemented by tomato broth and crab paste, this is Vietnamese comfort food at its best. The flavors of crab aren’t too dominant, so your taste buds won’t miss out on the sweet and tangy golden-red broth. 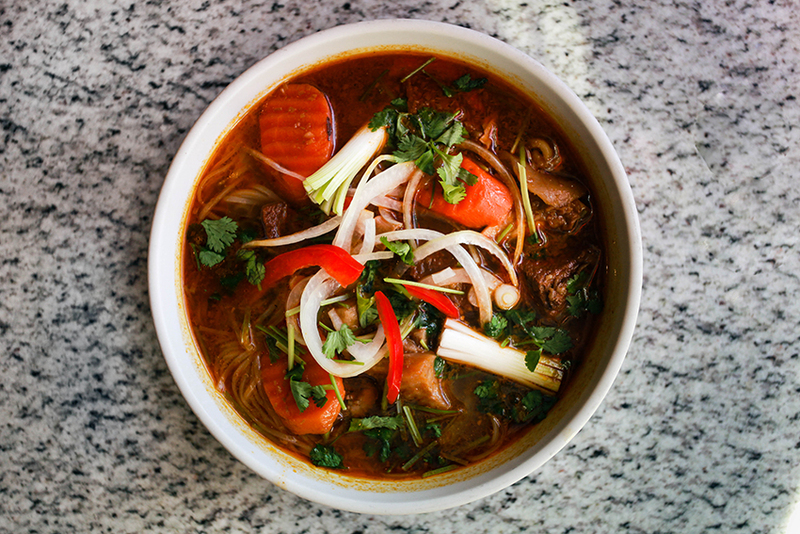 Bo Kho is a beef stew that is normally served with rice or a loaf of French bread. 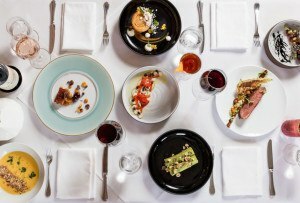 What makes this dish so good is its star ingredient, braised oxtail. 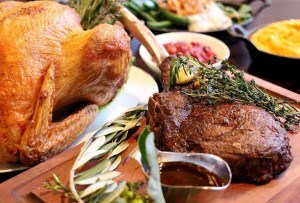 Slow cooked for eight hours, the oxtail meat ends up tender and falls off the bone. Not only does Pho 2000 have the best Bo Kho in town, but they have an option where you can opt for noodles instead of rice. Not a fan of meat? Give Pho Hai San a try. No chunks of beef or chicken in sight, this seafood version of pho is a testament to Vietnamese cooking. Despite including squid, shrimp, and fish balls, the soup isn’t overly fishy, but rather has a sweet and herbal aftertaste. This might not be in your standard pho repertoire of typical beef or chicken, but it’s just as delicious. Want more? 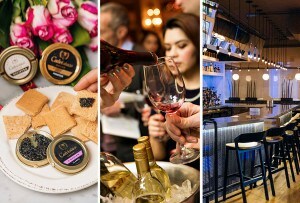 Check out our Cheap Eats dining guide, Chinatown guide, and more restaurants coverage. 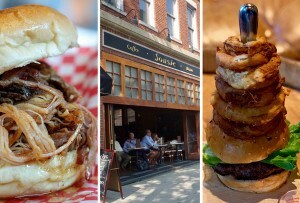 Update, June 1, 2015: An earlier version of this article included Xinh Xinh in Chinatown, which has since closed.